There has been a disturbing news in Prontera. Our "Warplette Orphanage" has been attacked and they were massacred by the attackers. The Warpsentries who were protecting the children , were also killed. When we arrive at the scene , all of the children bodies were taken away. 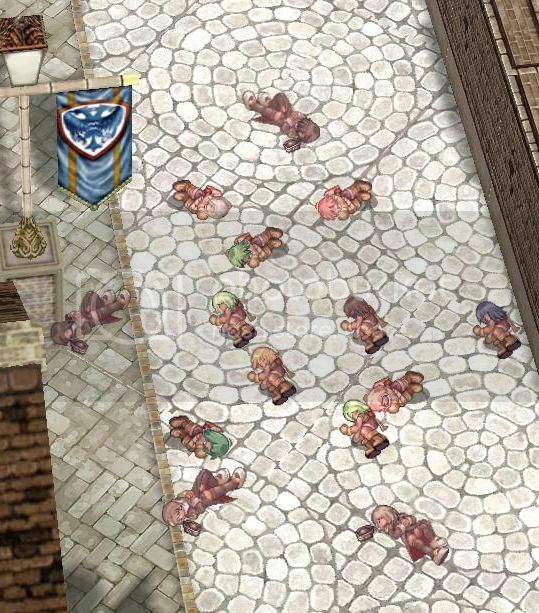 The one who is responsible for this massacre is a group of Necromancers. We have manage to track them down and vanquish some of them , but a few got away. The bodies of the children are still missing. We believe that the necromancer has put a curse on the children body and hid it away around Prontera. It is only time till the body reanimate and turn into dark creatures. Please help us find the children bodies, so we can put their soul to rest and give them a proper burial. Please find the body of the following Dead Children! ii.Post the location of the Dead Children under this thread. Edited by Esalis, 14 May 2013 - 10:56 PM. Great effort, thanks for doing this. 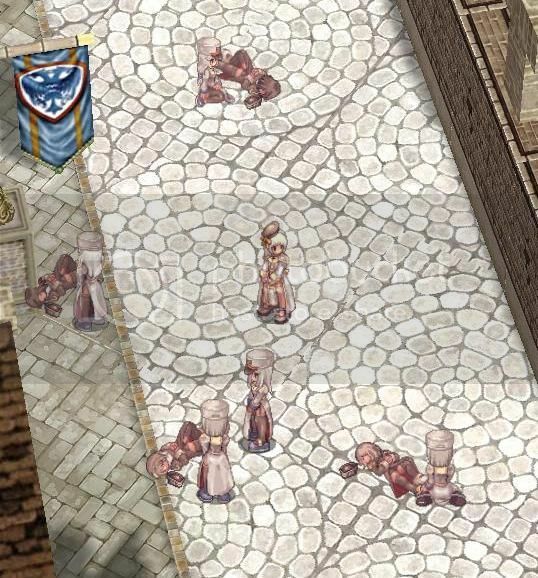 Are all the bodies in prontera already, or are you going to release them one at a time over the event period? They are already scattered around prontera. Will be there till 18. Will take a break during maint and continue again after the maint til 18th. Edited by Esalis, 14 May 2013 - 10:42 AM. Fun but morbid quest. q.q y u do this when I is at work. Edited by Esalis, 14 May 2013 - 10:55 AM. Edited by grafeisen, 14 May 2013 - 10:57 AM. Ohh wait so it's already there, right now? yeah already around prontera. u can start looking now. Just saying - some people are cheating by using RG's mount and sit on the Dead Children to block them, not allowing others to see. On another note - now you know where they are! Edited by michaeleeli, 14 May 2013 - 11:37 AM. Might want to take screenshots of the people who are sitting on them, I doubt they're using a main account to do that, but you never know. Edited by Matatoko, 14 May 2013 - 11:58 AM. dead children?! with uncensored live footage? I knew one has to be near that church.